Lets face it - Sydney is an expensive city to live in. If you have young ones, you'll know how quickly a few activities can add up and put a strain on the weekly budget. If you have a child enrolled in just two activities a week at $20 per session, running during school term only, that's a whopping $1600 per year you'll be shelling out – and that's just for one child. Here are some great activities and events which will allow your kids to learn, socialise and enjoy our beautiful city without breaking the bank. Most are year round or annual events and they are sure to please the kids as much as your wallet. Libraries are wonderful places. Not only are they full of books, most libraries are also completely set up to cater for kids. Most have a lovely sitting/play area for the young ones, where you can browse picture books together and even choose a few to take home with you. Libraries are also great places to borrow DVDs and CDs as well; no more trips to the local video shop required. Baby Rhyme Time is aimed at babies and toddlers from 0-2 years old (although I have seen older kids having a great time as well). They are usually a half-hour session and use nursery rhymes and finger play to entertain the little ones. There is lots of clapping, singing and dancing, and the classes help develop language skills as well. Most local libraries run the classes weekly, or biweekly. For instance, Marrickville Library runs their sessions twice a week at 10:30am Mondays and Thursdays; Eastgardens Library runs their sessions at 10am on Tuesdays and Fridays. Check your local library for details. Many libraries run Story Time sessions, where children are able to enjoy being read a book. Most sessions are aimed at preschoolers, but there are also some libraries offering sessions for older kids, such as Waverly Library in Bondi, who offer a "School's Out" session, aimed at young primary children. Sessions run for about 45 minutes, and once again, check your local library for details. Book clubs are a great place for children to meet other children, and get a chance to explore and be excited by books in a social environment. Lot of libraries offer great kids clubs, and so they should; the great readers, authors and weekend notes writers of the next generation might just be amongst them. For example, Double Bay Library run a kids club aimed at primary age children on the last Thursday of each month, with guest speakers, a great range of the latest books and afternoon tea included. Bowen Library in Maroubra runs the "Under Cover Book Club". The Club is aimed at 5-8 year olds and runs from 4pm, once a month on a Tuesday. See the website for more details. If its raining outside, its definitely worth heading to the library on a Sunday to catch a free movie with the kids. Waverly Library, Bondi offers a free movie on Sundays at 3pm, suitable for all ages. Once upon a time, museums were where you went to stare at things in glass cases, and art galleries were where you silently examined pristine paintings displayed behind ropes. This is the case no longer – museums and galleries are increasingly going interactive and child-friendly, and Sydney is choc-full of wonderful museums and galleries which are a delight for children. The Australian Museum and the Powerhouse Museum are two great examples. Both of these require paid admission (around $30 for a family), but dig a little deeper and you will find a number of gems which will introduce your children to art, culture and the natural world for free. The MCA has been running great free initiatives for families and teens for many years. One of the biggest on their calendar is Generationext. Generationext is an after-hours event for teens aged 12-18, where they can connect with other teens and enjoy art in a festival environment. The events include live music, food, art-making and conversations with artists. They are co-ordinated by the MCA's Youth Committee which is made up of teens, so the events are always relevant and fun. They run six times per year, and all you need to do to attend is register for the event. Each event attracts a few hundred like-minded students and teens. They have a great face book page where you can learn more. Click here. Another of their great initiatives is Sunday Family Fun Day, which takes place on the last Sunday of every month. This is a creative activity for the whole family and includes fun events and art making, a family-friendly exhibition tour, live performances, story-telling and art games and is completely free! The MCA also offers free guided tours every day. The Museum is open daily from 10.00am–5.00pm. See the website for more details here. The Art Gallery NSW is a wonderful place for visitors of all ages, and most of it is free. The Gallery works hard to cater for children offering a load of wonderful initiatives and an extensive range of free activities for children from tots to teenagers. These include a free live performance for kids every Sunday at 2:30pm, which runs for 30 minutes. They also have free children's trails and a kids audio tour to help young visitors engage with the art and ideas in the permanent exhibitions. 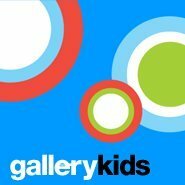 Check out Gallery Kids which lists a range of great activities as well as tips for introducing kids to art. The Maritime Museum used to be free, but is no longer. However, if you wish to see the Museum for nothing, there is free entry to the galleries and exhibitions on the first Thursday of the month. They also offer a range of kid's activities for a small fee (around $8.50). See details here. It is official – we live the most beautiful city in the world. 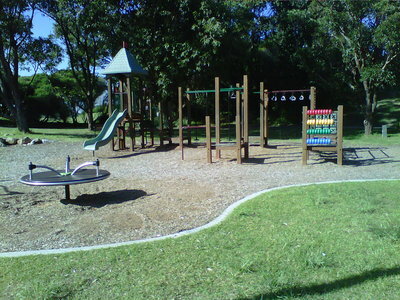 Whether you live in the east, south, west or north of Sydney there are a wide variety of wonderful parks which cater to any requirement, whether it be a stroll or bike ride, somewhere for a picnic, or just a dash-in, dash-out so that the kids can burn off that excess energy on the monkey bars. Most of us venture to just a few of the local parks nearby, but it is well worth trying somewhere new in your local area – you never know what hidden gems you might find. For instance I was lucky enough to discover the beautiful Sir Joseph Banks Park and Playground in Botany, a few weeks ago and cannot wait to return for a picnic. Another great park which ticks all the boxes is Centennial Park, near Paddington. With a lovely wide, flat walkway perfect for prams, plenty of parking, a cafe, a restaurant, bike hire, a playground, horses, landscaped gardens, lots of ponds full of fat geese and graceful swans and a million-and-one gorgeous spots to plop down with a picnic or run barefoot through the grass, Centennial Park is a beautiful day out. Council websites are becoming increasingly user-friendly and often list descriptions of parks and facilities in your area. Although websites differ, you generally want to look for "Recreation and Leisure" and then look for "Parks and Playgrounds". For example, Randwick Council lists a detailed list of all their playgrounds with descriptions of facilities and pictures. See it here. Similarly, The City of Sydney lists playgrounds by suburb and also includes a detailed table of equipment at each one. And Warringah Council also lists their playgrounds with images. The sun and the surf is the epitome of Sydney. When the weather is fine and the sun is shining, what better way to enjoy all that Sydney has to offer than by heading to the beach. While you may think that the popular beaches such as Bondi, Coogee, Maroubra and Manly might be too rough and overcrowded for kids, many beaches often have child-friendly areas away from the big surf and dangerous rips. I've listed a few here that are suitable for the little ones. While South Bondi is famous for its big waves and its rip known affectionately as the "Backpackers Express", the northern end of the beach is much calmer. There, you will also find a children's wading pool, perfect for little ones, but be aware of swimming conditions as blue bottles can often be blown into the pool. Considered to be one of the most family-friendly beaches in the East, Bronte is great for little kids and big kids alike. It has a kiosk, great playground and an ocean pool. It fact it is so popular it can be difficult to get to on sunny weekends, so go early or be prepared to circle for a park. A lovely family-friendly beach, Balmoral draws families from all over Sydney. The beach has a lovely enclosed and very safe baths area which is near a playground and a couple of kiosks. The area even gets shade in the afternoon which is great if you have little ones and don't want to see them burned. There are also some rockpools that the kids can explore. While Cronulla beach boasts pounding surf, go further south to find Shelly beach which is much more suitable for the littlies. It has a large ocean pool, calm waters and a shaded park with lots of places for a picnic. 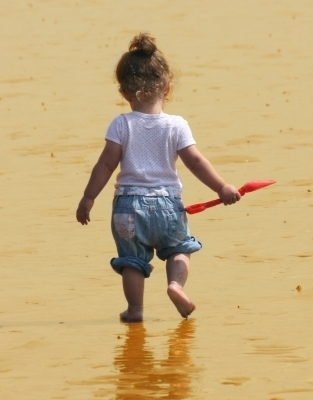 On sunny days the ocean pool swarms with little ones, buckets in hand. Little Manly Cove is a harbour beach situated on the south side of Manly, the next beach around from Manly Cove, where the ferries pull in. It has practically no surf and has a netted area, shade in the mornings and a kiosk nearby. It also offers beautiful views. If you are looking for somewhere a little quieter to take the kids, Botany Bay is a lovely spot. There are 6 netted areas within the bay along The Grand Parade between the Cooks and Georges Rivers, my favourite of which is Sandringham Baths, situated in Dolls Point. It ticks all the boxes; easy, free parking, easy access to the water, some shade, minimal surf and shark-netted areas. Sandringham Baths used to be called Strippers Point, because of tree-felling and bark-stripping – thank goodness the name was changed. If you would like to read more about great beaches in Sydney, there is a wonderful article which lists some great beaches in the north for children here. Free festivals and events are a great way for the kids to learn something new and experience our vibrant culture and city. This entry could have had 5 pages all of its own, but here is list of some great free annual events. Darling Harbour is an event mecca with 6 huge free events each year. Some of the highlights include the Darling Harbour Australia Day Spectacular, the Darling Harbour Jazz & Blues Festival held on the June long weekend and The Darling Harbour Fiesta, held on the October long weekend. The Easter long weekend sees the annual Hoopla Festival, a circus show with aerobatics, fire-breathing and roving performances. If you really want to get the kids excited, how about taking them to the annual Santa Fest, held late November. This event features more Santas than you can shake a reindeer at plus fireworks, lighting of the Christmas tree and prizes and competitions to win. December sees Darling Harbour enjoy carols by the tree throughout the month, culminating in the spectacular New Year's Eve Fireworks. And even if there is not a major event, Darling Harbour is a lovely place to take the kids. The Darling Quarter's enormous playground features a 21-metre flying fox, water play area, climbing ropes, swings and slides and is entirely free. Darling Harbour offers free entertainment every week, so there is always something to do. The Domain plays host to some of the biggest free events of the year. Pack a picnic and a pull up a rug to witness some wonderful music in events such as Carols in the Domain in December, the biggest Christmas concert in Australia; and Jazz, Opera and Symphony in the Domain in January. These events pull huge crowds and can run quite late into the evening, so be prepared to come early. Sydney comes alive in January with the Sydney Festival, which is a festival that "defines Sydney's personality", according to the organisers – and they are not far wrong. It features loads of great entertainment and outdoor activities, many of which are free. There are exhibitions, symposiums, and plenty of music. Look out particularly for the Festival's "First Night" line up – with plenty of spectacular events for the whole family. The full programme is released late in the year. The SWF, held in May each year is not just for grown-ups and wannabe novelists (like me). The Festival offers loads of wonderful workshops and talks from some of Australia's premier writers of junior fiction, aimed at children. Best of all, more than half are free to attend. Local councils run great free events too, such as the Norton Street Italian Festa running in October, The Cronulla Spring Festival in September, and of course there is the wonderful Vivid Sydney event, which features a terrific free light show through May and June in the Rocks. So there you have it, a list of a few free things to do with your kids this weekend.